Do you have a home you’re thinking of selling? Are you an investor who buys properties and remodels them to provide better options for homebuyers? One way that you can make sure that your home is attractive to potential buyers is to add a fashionable design in the bathroom or kitchen. Since the kitchen is more expensive to renovate, it makes more sense to upgrade the bathroom when you are planning to resell the property. We found five trending bathroom styles that you may want to consider using to boost interest and possibly spark a bidding war for your next home for sale. 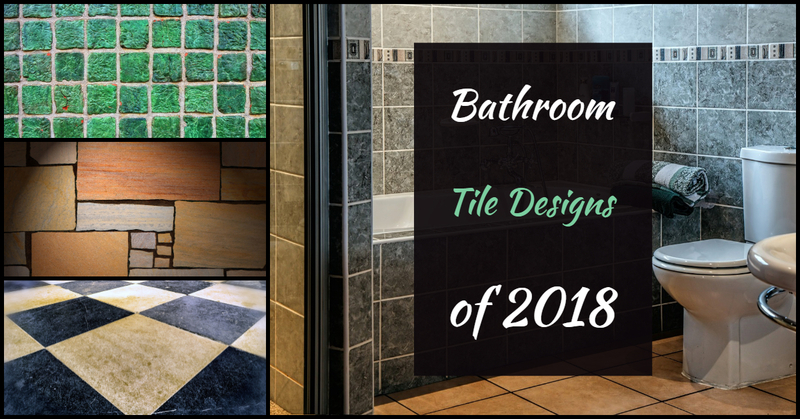 To figure out the tile that will work the best in your bathroom, you may want to consider the fixtures and accessories that you will put in the design. For instance, if you plan to add a cast iron tub, then you want something that will complement the main feature. Since the tub is a solid color, you can choose a bold tile pattern like a bright, daisy mosaic on the floor to give the room great appeal. Thin, horizontal accent tiles that line the shower are a popular retro choice. Any handmade tile is especially useful in vintage designs because each piece looks worn and old even though it is new. Subway tile is a classic choice that will work whether you want a white or black grout. For a more refined look, you can go with a beveled tile. To create a dramatic effect, you can use a dark gray or black subway tile and go with light trim. Buyers appreciate the time and care that a property owner puts into shabby chic bathroom designs. Your local Realtor can give you pointers for choosing the best accessories. Some of the most popular elements include wood, rough textures, and natural materials like bamboo and cork. Stone is another item that will add rustic charm to your home for sale. You can choose to use live edge design with an uncut vanity top to create a focal point that will ensure open house guests remember your home. A unique architecture & design may be the feature that sells your property for the full asking price. All real estate agents can tell you how well a sophisticated bathroom design goes over during a home showing. When you want to keep a neutral style, but you still want your bathroom to wow potential buyers, then going with gray will not steer you wrong. You can mix and match dark and light tones to frame out the room, add some extra character, or define a particular space. We know that this Carrera marble tile is a bit much for a resale, but you can get an idea of how striking you can make a bathroom with a beautiful design feature. By placing the tile in a herringbone or Chevron pattern, you can create appeal with any flooring material. Little differences like these can be what gets buyers to put in an offer on your home and not on other homes for sale. If you have a multi family home that you want to use for rental units, then creating a soothing and welcoming area for relaxation can help you appeal to your target audience. For instance, a large soaking bath, a community hot tub, or a luxurious sauna can be an enticing feature that makes your units the most appealing in the neighborhood. In a home for sale with a master bath, you could install a massive shower head, a beautiful bench in the bathroom, huge vanity with a mosaic tile backsplash, or even a waterproof radio or television. Little perks can turn into huge incentives when you are working in a competitive property market. Any upgrade that helps a buyer feel like your home has a space where he or she can relax and unwind at the end of the day will be a bonus on home shopper's lists. It is super easy to go overboard when you are looking at upgrades to add to the homes you are selling. One way to minimize costs and make the bathroom look clean and fresh is to add a fresh coat of paint and a new bead of caulk around all the fixtures. Adding a double vanity is a huge incentive for buyers because two people can get ready at the same time. When you have a busy family that all get ready together, dual sinks in the master bedroom are a big time saver. Plus, everyone will get going on the right foot because no one had to rush and fight to get ready on time. Consider heated floors when you want to wow potential buyers. Time says that you can add this upgrade for somewhere between $500 and $1,000. Who does not want to wake up and find a nice, warm floor when getting into or out of the shower on a chilly morning? Plus, heated floors often make the room warmer allowing new buyers to keep the temperature down saving money overall. When you choose common paint colors, you are likely to find these items at the lowest price. Custom hues are more expensive, harder to find, and limit the audience your home reaches. Neutral tones are the best option except when you are looking at your feature. For instance, mosaic tiles are often black or bright colors with blues, greens, or reds. When you use these options as accents, then you get the most appeal without spending a fortune. You can use a few tiles to fill in a shelf or to make a border on the floor of the shower. By using a single color with these accents, you can save money and create a stunning feature that appeals to buyers of all ages. We hope that these five bathroom styles will give you tons of ideas for transforming your next home sale. The goal is to make your home more appealing than the other guy’s. Spending a little extra on the accents will offer more bang for the buyer's buck.